The bookstore market is growing at a rapid pace, and its revenue is forecasted to reach around 123 billion U.S. dollars by 2020 (Statista). If you are business professional, retailer, wholesaler or manufacturer looking to provide services or solutions to the businesses involved in the bookstore industry, you are at the right place. 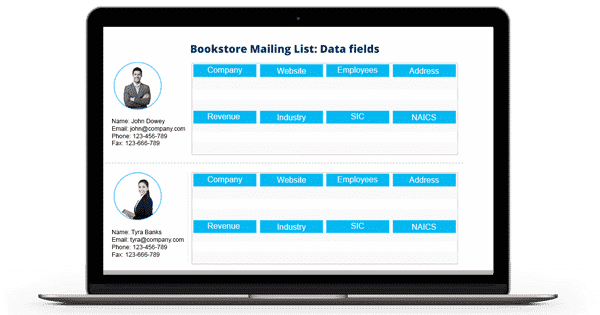 At Blue Mail Media, we have built the Bookstore Email List keeping in mind the potential challenges that you might face while reaching the bookstore industry professionals. The list is a highly comprehensive data repository carrying contact details that are accurate, verified, and updated on a regular basis – typically within every 60 days. The success of every business depends on the efficiency with which they know their potential customers. Data alone can help you do it better. And thus, Blue Mail Media brings the Bookstores Business Email List. This list encapsulates the contact details such as Name, Phone numbers, Email address, Official address, and so on. We, at Blue Mail Media, are a team of dexterous data analysts and market specialists and we ensure that the data that we gather and segment is highly actionable and competitive. Though our Bookstore Email Database is a pre-packaged contact bank, you can also get it customized based on the requirements of your business. To maintain the credibility, we make sure that the email list that we deliver is in high compliance with the GDPR, CAN-SPAM laws, and similar other data regulations.